LAMM AT LARGE: Can Kyler Murray play two sports? 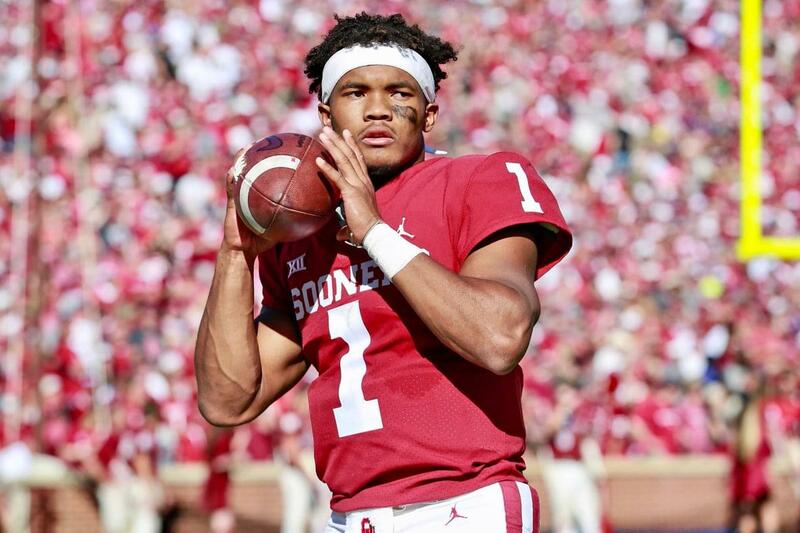 Kyler Murray says he wants to play pro football, eschewing pro baseball. Why not both? It’s the latter that has pro sports experts all fired up. An athlete can’t divide his time between the two sports, they say, and expect to excel at either. This is the mindset of most of you – fans, media and, yes, even many team executives. The school of thought that pro athletes must be totally committed, 24/7/365 to one sport to exceed is crazy to me. It’s football. It’s baseball. It isn’t . . . well, I can’t think of one thing that’s that difficult. I concede that playing two sports eliminates most other hobbies such as golfing or fishing. Not a lot of family time either. (I don’t think Murray has a child.) But if an athlete is dedicated to playing both it can be done if the competing teams can work out the schedule. Murray is a Grade A prospect in both sports. Already a 1st-round pick of the Oakland A’s, he also seen as a 1st rounder in the NFL. The argument that athletes need different muscle development for different sports doesn’t hold true in Murray’s case. A quarterback and baseball require basically the same body. Certainly if Murray is up to the challenge, he can get his NFL playbook now and still have time in the batting cage and shagging down flies in the outfield. If think the reason we haven’t seen two-sport players in recent years – is Deion Sanders the last? – is because of the teams, not the athletes. Murray’s journey will be tough if he tries to do both sports, but it’s doable. It shouldn’t scare off NFL teams.